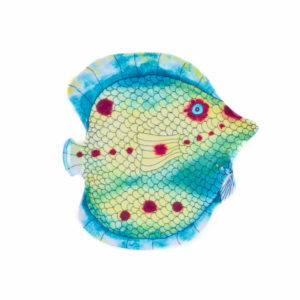 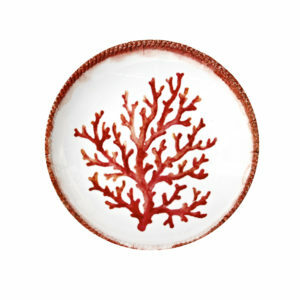 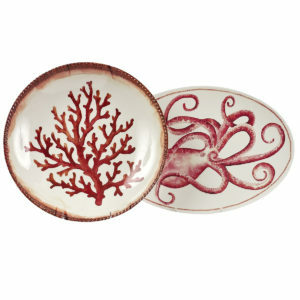 Go under the sea with our sculpted fish dinnerware. 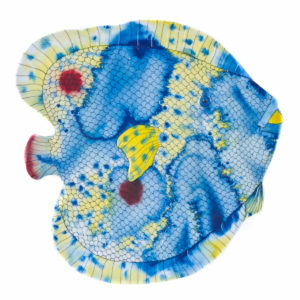 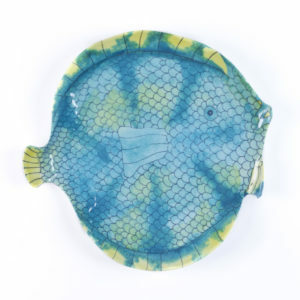 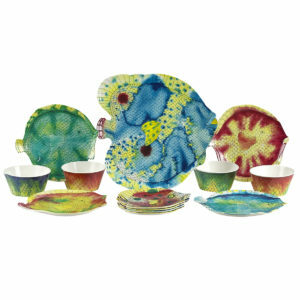 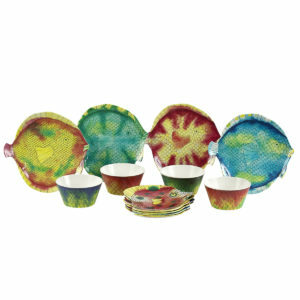 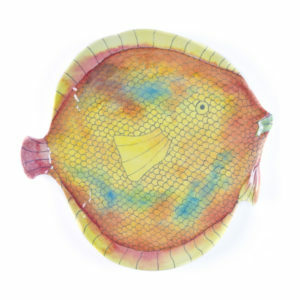 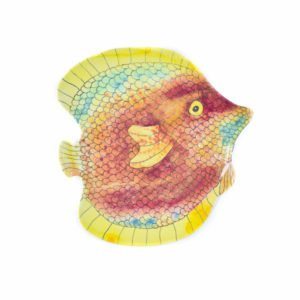 These whimsical fish plates, platters and bowls are textured in scales. 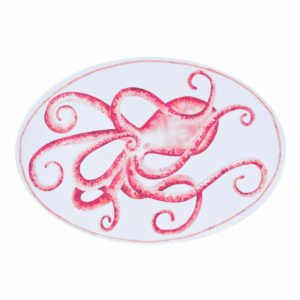 Anne Hathaway’s watercolor designs are the perfect medium to mimic the flowing color of tropical fish. 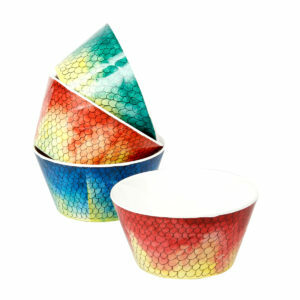 The rich colors have the look and feel of hand painted ceramic.